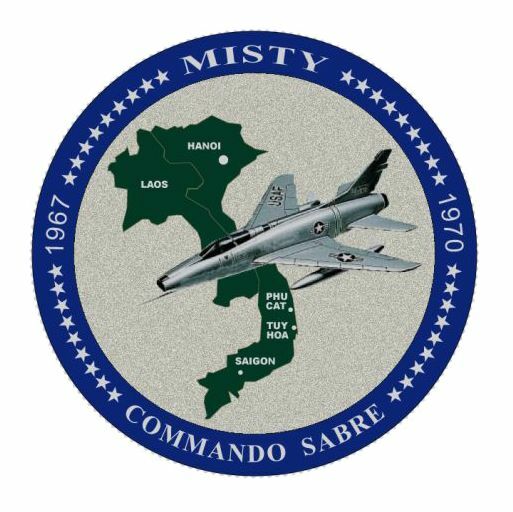 In 1967, a group of combat-experienced fighter pilot volunteers were brought together in South Viet Nam to form a top secret squadron with a now-famous callsign — MISTY. They were stationed first at Phu Cat Air Base, then in 1969, they moved to Tuy Hoa Air Base. Their mission was to fly fast and low over enemy territory, armed with only their cannons and marking rockets… so low that they could see the targets… SAMs, AAA sites, trucks, bridges, boats, bulldozers… whatever. Their goal was straightforward: disrupt the transfer of enemy supplies and equipment down the Ho Chi Minh trail. When a Misty located one or more of these targets, he directed Air Force and Navy fighter strikes against them. 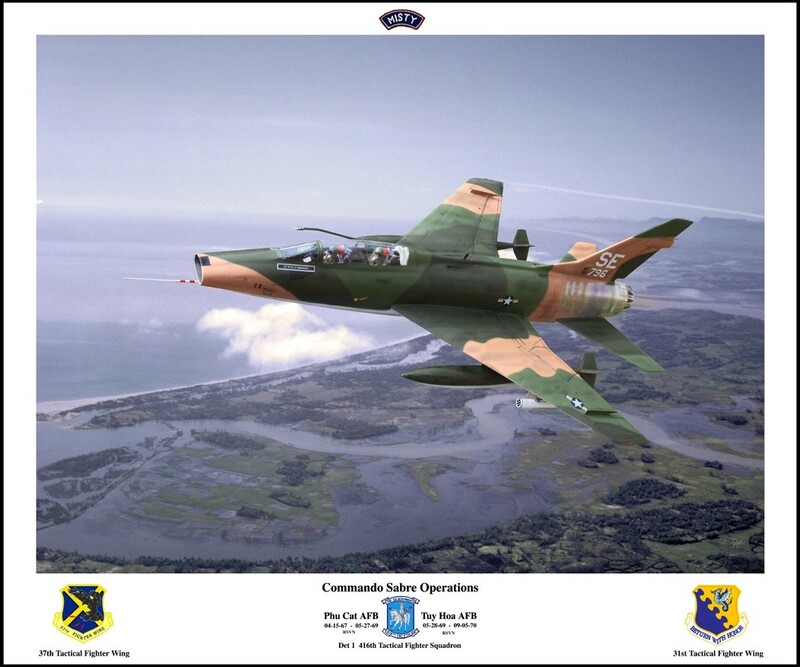 Mistys flew the two-seat version of the Super Sabre, the F-100F, and although they flew fast (350 to 550 MPH), and they continually jinked (i.e., changed direction) to spoil the enemy’s prediction of where to aim, still, 28% of the Misty pilots were shot down during the three years they were active. Their first commander, Colonel Bud Day, was one of those shot down, and he became a POW in the Hanoi Hilton. Those who survived went on to important positions, including two Air Force Chiefs of Staff, seven general officers, two astronauts, numerous industry CEOs, and the first man to fly around the world unrefueled in a light aircraft.